Thanks for visiting our online store. We offer a select range of fabrics especially suited for making flags and banners, fabric displays, awnings, curtains and fabric backdrops. 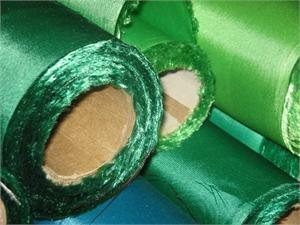 We offer a quality selection of nylon, polyester and specialty fabrics, such as sunbrella and rip-stop nylon. Ideal for making flags and banners, we offer several grades and constructions of nylon as well as suppoting flag making supplies and accessories and related items. Our goal is to provide quality products with efficient courteous service. NylonforFlags.com is owned and operated by the Arista Flag Corporation. Established in 1973, the Arista Flag Corporation is a manufacturer of stock and custom-made flags and banners. Over the years, we have been asked to supply quantities of nylon fabric to various individuals, companies and institutions. This is the same fabric we use in-house to make our flags and banners. With the increase of these requests, in recent years, we decided to re-deploy our fabric oriented website and have added new products and a greater selection in all categories. In addition to providing quality products, our goal is to offer a fast and efficient purchasing experience. Our facility is located in Saugerties, New York. We will ship your fabric order from in-house stock, or in the case of volume orders, directly from the mill. Should you have any questions about fabric availability or shipment timing, please contact us. For some items, such as custom or blank flags or banners intended for further customization in your shop, normal production timing is required. If you have questions, comments or concerns about your order or the products found within this website, please feel free to contact us via telephone or email. We will get back to you right away. Again, thanks for visiting our store and we look forward to serving you in the future.